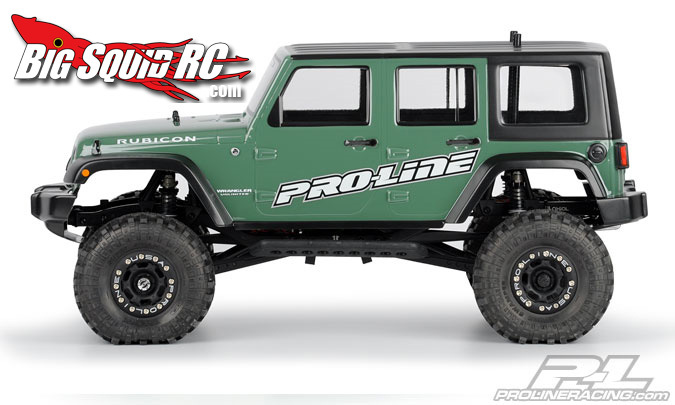 Pro-Line Jeep Wrangler Rubicon Body « Big Squid RC – RC Car and Truck News, Reviews, Videos, and More! Pro-Line has added another Jeep body to their growing stable of licensed goodness. This time it’s the Jeep Wrangler Rubicon. 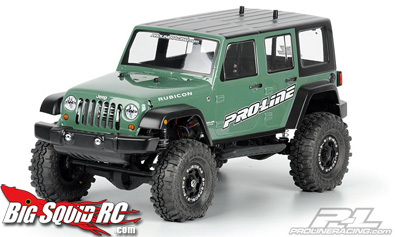 The Jeep Wrangler Unlimited Rubicon is designed for 1:10 scale rock crawlers and scale builders. It fits 12.3″ wheelbase rigs, and it pretty tall so you may need some extended body posts to make it right. Get over to the Pro-Line web page and check it out.